﻿﻿﻿﻿ Here is my newest kitchen vinyl design. This was just listed yesterday in my Etsy Shop. I have been getting a lot of requests lately for custom kitchen vinyl designs, so I decided I needed to design a few to have in my shop. I actually plan on putting this one in my own kitchen! I think it can add a special touch to any type of kitchen decor you happen to have. It is shown here in black vinyl but we have most colors of vinyl and can be cut in any color. Love this wall decal. You have very classy and unique items. PS Found you via etsy blog team. 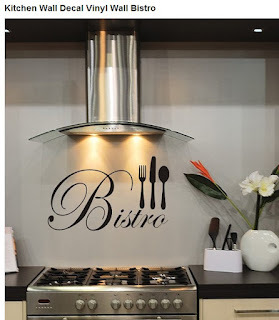 I like this kitchen wall decal, its looking great and very nice. I really love kitchen vinyl wall decals. 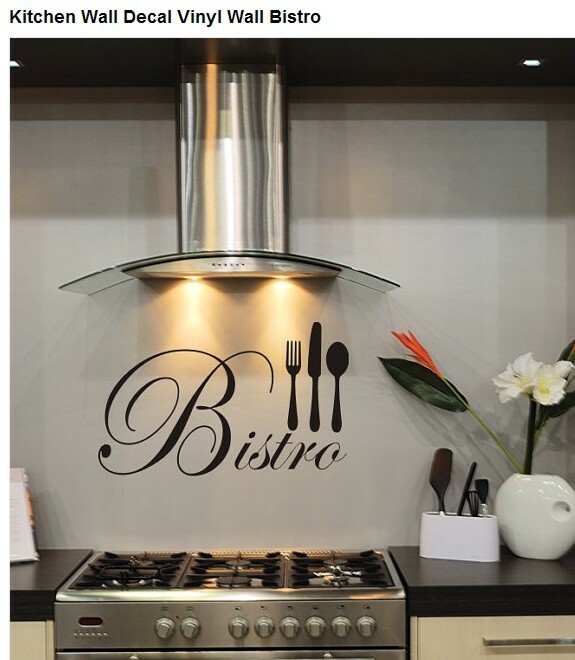 Thanks for sharing these kitchen vinyl wall decals.